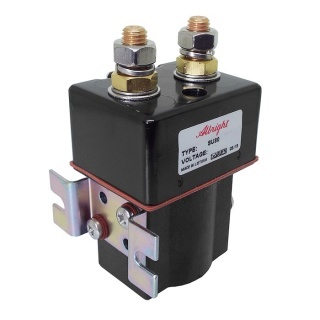 IP66 protected SU80-5161MP single acting 12-volt dc 150 amp intermittent solenoid contactor, magnetically latched contactor with silver alloy tips. 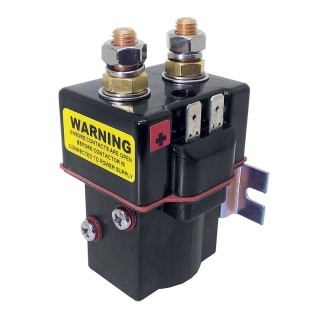 The SU80 series of contactors has been designed for direct current loads, particularly motors as used on small electric vehicles such as light industrial trucks, powered invalid cars, etc., they have double breaking contacts with silver alloy contact tips, which are weld resistant, hard wearing and have excellent conductivity. 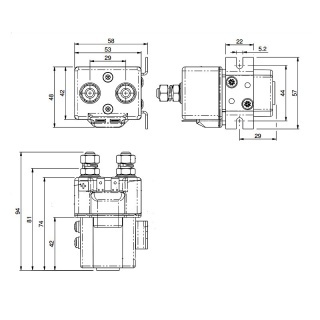 Due to the sealed nature of this contactor, no repair kits are available. Fitted with a top hat mounting bracket. Cap depth (including coil terminals): 48mm. Magnetic Latching: Contact position is secured with the use of a permanent magnet within the coil assembly. 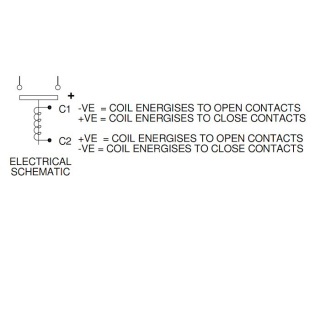 The coil requires a pulse(~500ms) to close the contacts, and a reverse polarity pulse (~500ms) to operate the armature and open the contacts, but otherwise remains in the last energised state without the need for power. It should be noted therefore these are not failsafe. The SU80 is an up-rated version of the SW80 Contactor designed for Interrupted and Uninterrupted loads. The SU80 has M8 stud main terminals and 6.3mm spade coil connections. Mounting is via the supplied mounting bracket. Mounting can be horizontal or vertical, when vertical the M8 contact studs should point upwards.